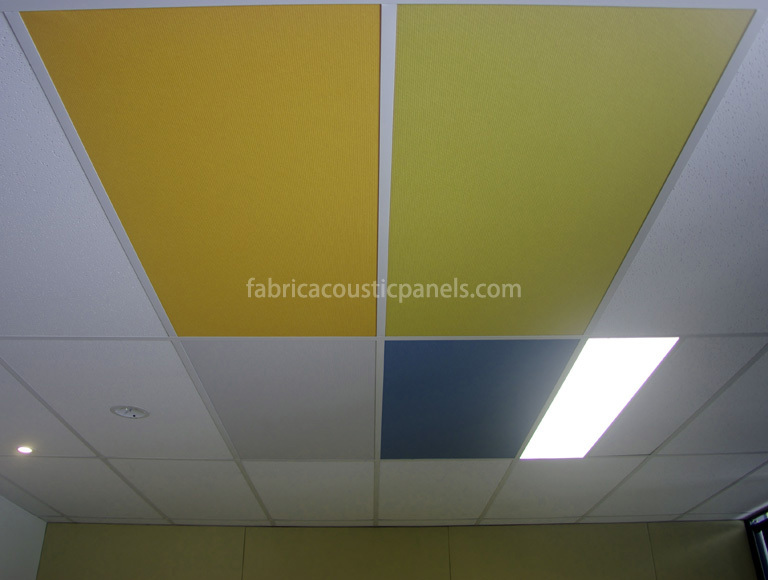 Ceiling made of fabric panels are mainly available in two different styles: fabric ceiling panels and fabric sound baffles. 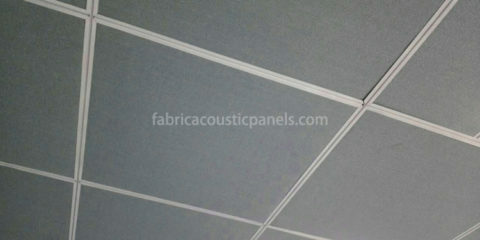 Ceiling fabric panels are installed on standard ceiling grid, while fabric sound baffle is suspended piece by piece. 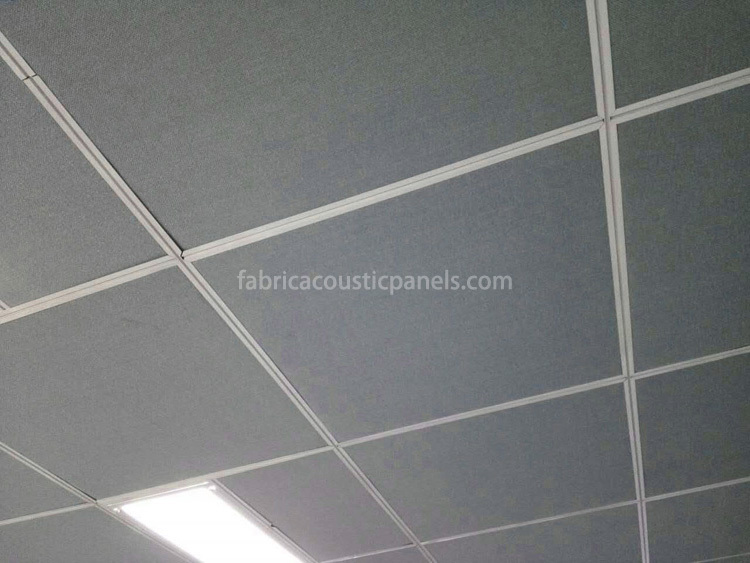 Our fabric ceiling panels are 25mm or 50mm thick, with two different sizes: 600×600 and 600x1200mm. Ceiling mounted fabric panels are often used in auditoriums, offices, hotels, recording, catering facilities, gymnasium and multifunctional rooms, music rooms, restaurants & night clubs, tiled floors, and so on. You can customize the size according to your specifications. 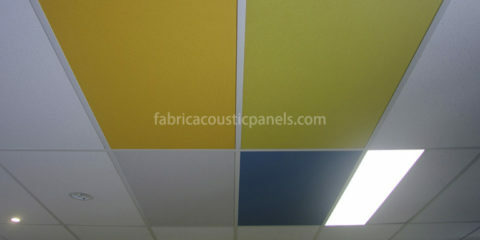 Fabric ceiling board is easy to be installed as T-bar ceilings. Cloud mounting hanging ceiling panels is also possible. Fire Rated fabric is available. 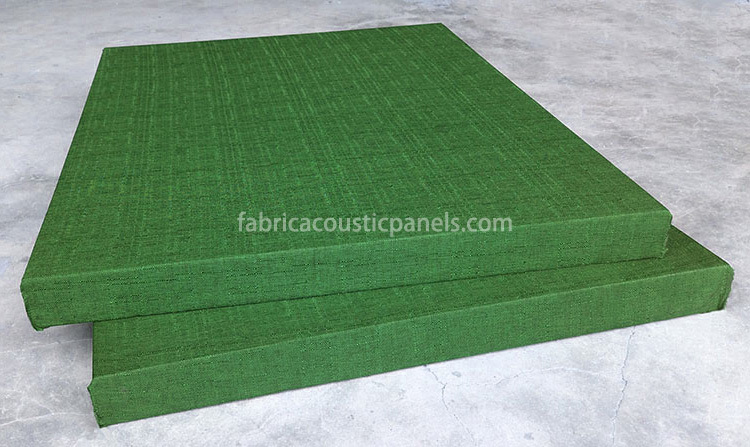 Available in about 20 standard, high quality acoustics fabric colors. Use high quality glass wool as absorb materials and without formaldehyde. Fabric ceiling panels are a professionally constructed speed absorber which handles the entire frequency range. The decorative acoustic ceiling panels allow sound to be absorbed while maintaining a clear and sharp edge. 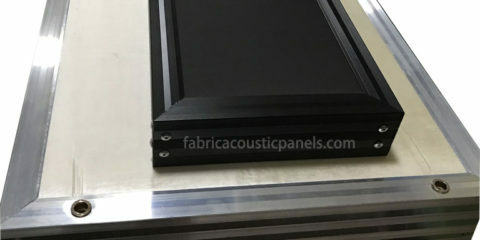 With air gaps between the panel and the concrete ceiling, the panel is not only good at absorbing high frequencies, but also middle and low frequencies. 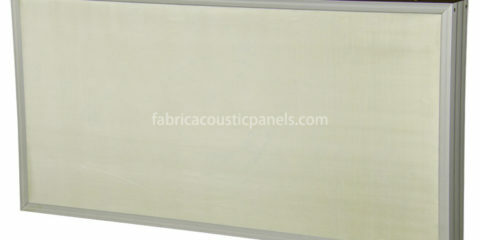 Fabric ceiling panel can be used in conjunction with other acoustic products, such as wooden acoustic wall panel. Different acoustic materials in the same project make better absorption on different frequencies. Combination is an effective way.